SOURCE: Darren Tieste, courtesy of Tourism Australia, the tourism promotion authority of the government of Australia, used with permission. 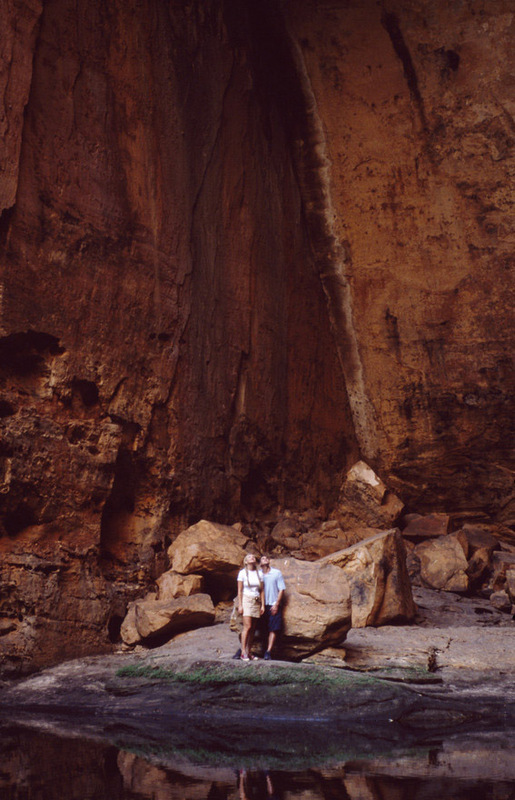 Purnululu National Park is a World Heritage Site located in north east of Western Australia. Its name, given by the Kija Aboriginal people, means sandstone. It is famous for the sandstone domes of the Bungle Bungle Range, whch lies within it, unusual and visually striking with their striping in alternating orange and grey bands. NOTE: The information regarding Australia on this page is re-published from Australia Tourism Promotion Authority. No claims are made regarding the accuracy of Australia information contained here. All suggestions for corrections of any errors about Australia should be addressed to Australia Tourism Promotion Authority.